The many Jewish temples located throughout Los Angeles host numerous Bar mitzvah celebrations throughout the year, and as photographers serving this market, we always do our very best to ensure that each mitzvah is documented beautifully. We love this candid moment of family watching the ceremony. The grandparents are joyful, reverent and moved by this milestone in their grandson's life. The younger brother seated next to them steadfastly pays attention, perhaps imagining his own Bar Mitzvah yet to come. 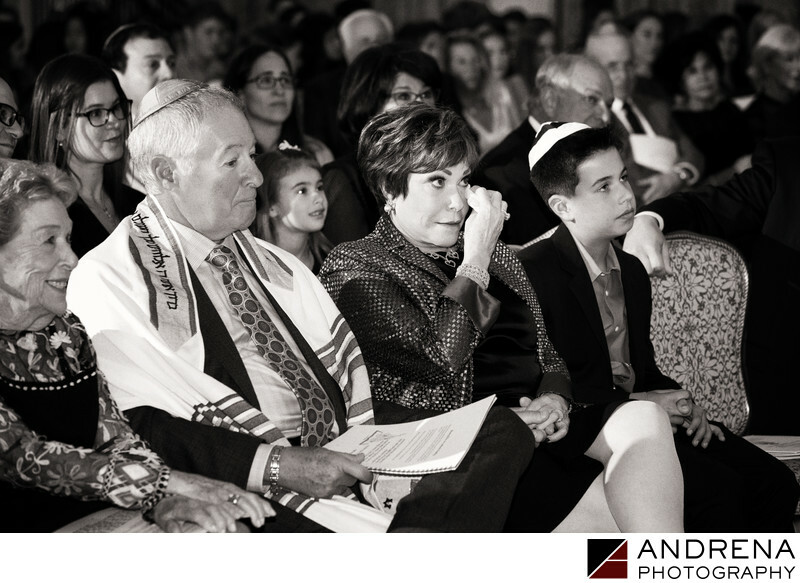 With at least two photographers covering every event, clients can be assured that both the Bar Mitzvah boy and those watching from the audience are lovingly documented.